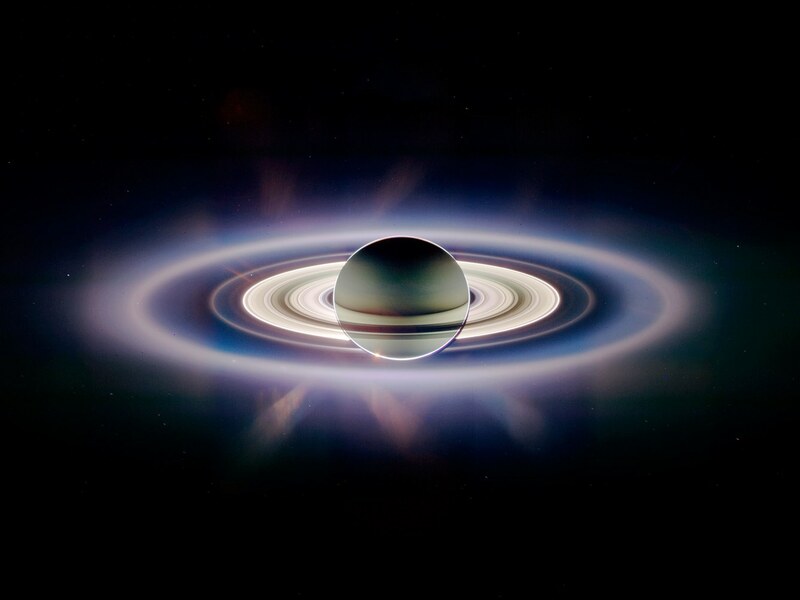 Next year in space — Wired has a story about all the great space stuff the magazine’s writers are expecting in 2017. One is that NASA needs to get to Mars, and is just about ready for liftoff: the SLS is still deep in its testing stages, and those will continue right up to the rocket’s projected 2018 launch date, when it’s set to carry the Orion spacecraft on an unmanned mission. In 2017, the rocket will enter its Green Run phase at NASA’s Stennis Space Center: a bunch of static booster-firing, resonance-checking test runs. ~ Pah! Mars is so 2016, don’t you think? Satellite spots massive object hidden under the frozen wastes of Antarctica — Scientists believe a massive object which could change our understanding of history is hidden beneath the Antarctic ice. The huge and mysterious “anomaly” is thought to be lurking beneath the frozen wastes of an area called Wilkes Land. It stretches for a distance of 243 kms (151 miles) across and has a maximum depth of about 848 meters. Some researchers believe it is the remains of a truly massive asteroid which was more than twice the size of the Chicxulub space rock which wiped out the dinosaurs. ~ Well, that’s more likely than Nazi flying saucer bases. South Korean Avatar-styled robot — A robot which bears a striking resemblance to the military robots seen in the movie Avatar has taken its first baby steps. The robot standing in a room on the outskirts of Seoul, South Korea stands four meters (13 feet) tall and weighs 1.5 tons. ~ Designer Vitaly Bulgarov’s work experience includes work on Transformers, Terminator and Robocop. 2016 as a horror movie — This year has been pretty horrifying. Dozens of our favorite celebrities died, a gorilla was shot dead in front of children at the zoo and a former professional wrestling star was elected president. Not to mention America being taken over by a fatuous big-mouthed idiot. So it makes perfect sense that 2016 should be made into a horror film: YouTube channel Friend Dog Studios published a fictional movie trailer based on the year’s events. ~ Hey, at least it was a good year for architecture. Obama wrote the most popular science journal of 2016 — The hottest scientific journal article of 2016 wasn’t on black holes or dinosaur-killing asteroids: it was on the Affordable Care Act, and it was penned by sitting President Barack Obama. Imagine that ever happening again. Ebola vaccine 100% effective — A new Ebola vaccine provides 100% protection against one of the two most common strains of the Ebola virus. The results of this trial were released in The Lancet. Although the vaccine, known as rVSV-ZEBOV, has yet to be approved by regulators, the New York Times reports that scientists have already created an emergency supply of 300,000 doses, should another Ebola outbreak occur. ~ This is definitely very good news. The woman who convinced us that Dark Matter existed was never awarded a Nobel Prize — Vera Rubin, one of the most important astronomers of the 20th century, died on December 25th in Princeton, NJ at age 88. She played a seminal role in our understanding of dark matter, and should have been awarded a Nobel Prize in Physics … but never was. ~ Yet another very smart, overlooked woman scientist. Actually, 2016 cemented science’s sexual inequality problems. 1/ Transfer files from iDevice to Mac via iTunes — There are various ways to transfer files from iPad/iPhone to Macs, but not all of them are reliable all of the time (like AirDrop). But iTunes file transfer is reliable for the apps that support it, and you’re not limited by file size. Privacy is another benefit, since files you transfer aren’t uploaded to someone else’s servers (i.e., via cloud services): they go direct. iOS devices don’t have an accessible file system like macOS does, but each app has its own document library. 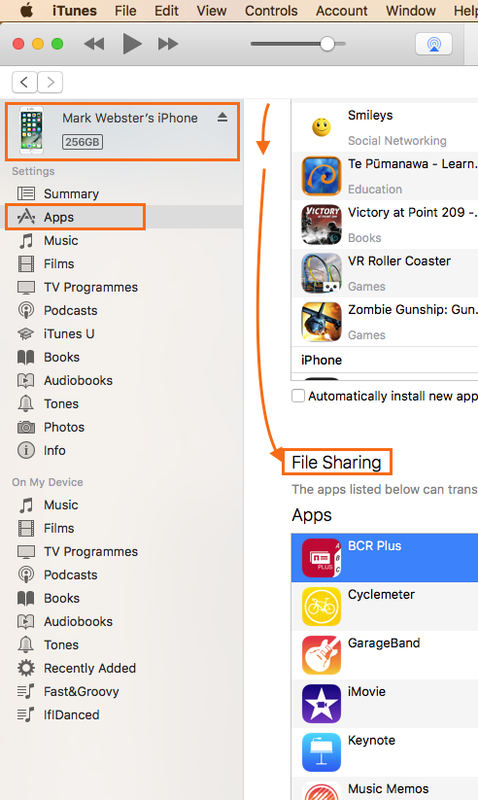 iTunes File Transfer lets you copy files to and from each app library. Plug in your iPhone, iPod or iPad to a Mac with iTunes and the device shows up in the program. After clicking on the phone icon in iTunes (it appears as a little icon at top left), click on Apps on the left sidebar. Scroll down (make sure your cursor isn’t over a scrolling internal window, but over the main part of this interface) until you see the section File Sharing. There’s a list of apps currently installed on your device capable of transferring files. If you made a movie with iMovie for iOS, for example, you can export it to iTunes. Then, using your Mac, you can open iTunes and save it to your computer. You can also do the opposite, and drag a video into iMovie using iTunes. 2/ Keep Siri from listening for Hey, Siri requests — One of the most convenient features of the newer iPhones is to have Siri always listening whether you have power connected or not. Any iPhone with the M9 chip can listen for the key words Hey Siri all the time to act upon any requests you give. But something that sounds like Hey Siri can activate Siri. Normally instances such as this are few and not a real issue, but this may not be the case in holiday season with lots of people about. While you can disable Siri entirely by going to Settings > Siri > Siri, a much quicker way to avoid this is to quickly turn the iPhone on its face, since when the iPhone is face down, the proximity sensor stops Siri from listening. As long as the top front of the phone is blocked, Siri cannot listen. That’s why it’s very difficult to get Siri to respond while in a pocket or bag. It’s a low tech solution to a high tech problem. 3/ Prioritise app downloads — When downloading a number of apps on my phone, you may want to use one that’s in the process of being downloaded. 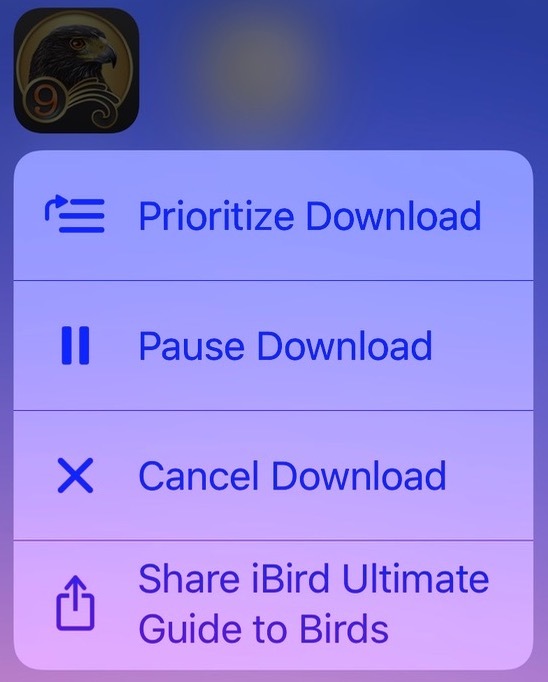 In iOS 10 with an iPhone that supports 3D Touch (iPhone 6s, 7), you can choose to prioritise one download over another: with multiple apps installing, just press with a little force on the app you’d like to prioritise. When you do so, a menu pops up with that option. 4/ Get rid of Calendar spam — Some iOS and macOS users have received calendar invite spam, so if you began seeing invitations to an event in your calendar for Ugg Boots, Ray-Ban sunglasses and other products, thanks to spammers taking advantage of a long-available feature in iCloud that extracts invites from email and presents them as notifications in calendar apps. In iOS, you can slide left and then choose Delete, which removes the invitation without providing a response (no similar option appears in macOS). The best option, however, is to disable this automatic invitation parsing altogether. Go to your iCloud Calendar page via a desktop browser. (Apple doesn’t allow you to use iCloud.com via mobile Safari) – i.e., log into ww.icloud.com. Now spam invitations will appear in your inbox – or, more likely, get automatically marked as spam and never bother you. 5/ More Calendar spam flexibility — This is slightly inconvenient if you routinely received and wanted calendar notifications for invitations sent via email—you’ll have to look for these in your inbox and click to add them to your calendar. 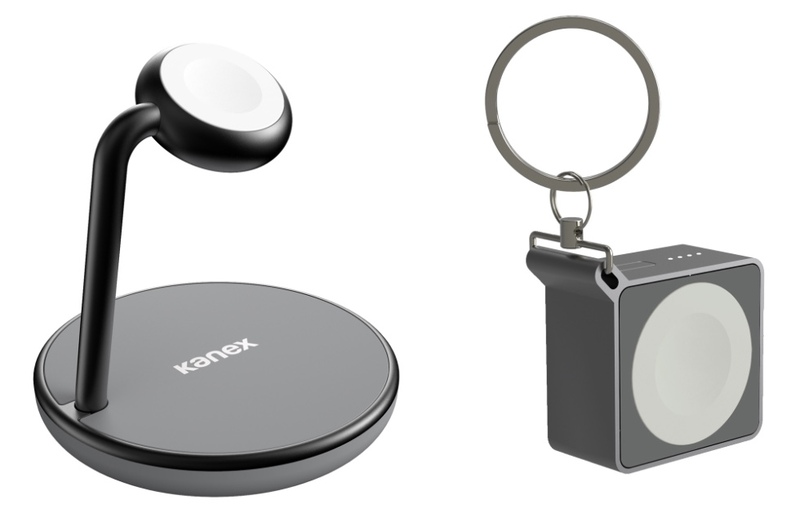 Kanex launches new Apple Watch accessories — Kanex will use CES 2017 (running January 5-8 in Las Vegas, Nevada) to introduce the two newest members to its growing line of GoPower Apple Watch accessories. The products are the GoPower Watch Stand, a magnetic charging stand, and the GoPower Watch Mini, a portable keychain battery. TuneIn Radio Lets your iPhone Receive a World of Broadcasts — TuneIn lets you you ‘tune in’ to many traditional radio stations that broadcast on the Internet. Almost anything you receive on your automobile AM/FM radio can be found on TuneIn radio. There are many local and small stations that broadcast to TuneIn radio. You can use a free ad-supported version of the TuneIn app or an ad-free version by making a one-time in-app purchase of US$3.99. Twitter debuts live 360-degree video posts powered by Periscope — Adding to a slowly growing set of value-added services, Twitter on Wednesday activated live 360-degree video streaming capabilities through its subsidiary Periscope, an interactive feature that puts viewers in the middle of the action. NPD says Android customers are so committed that exploding Note 7 did little to help Apple — Like loyalty to a political party or hometown sports team, smartphone users are extremely passionate about their choices – a commitment that led many customers to stick with Samsung, despite the disaster of its downright dangerous Galaxy Note 7. Police turn to Amazon Echo in homicide showing how smarthome devices can spy on us — Police in Bentonville, Arkansas, obtained a search warrant for the audio captured by an Amazon Echo as part of a homicide investigation, raising concerns over just how much smarthome devices know about us. In the case of the Echo, Amazon says little is being recorded and stored, but that’s not much of a consolation for IoT device owners who’re worried their tech might be used against them by the government. 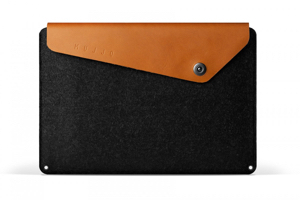 Mujjo’s full-grain sleeves available for new MacBook Pros — Mujjo’s full-grain leather sleeves are now available for the new late 2016 13-inch and 15-inch MacBook Pros. They sport a combination of full grain vegetable-tanned leather and felt. The leather fold-over closure – with a “one snap button” on the right – provides a simple closure to keep your device secure. The rivets are lined to keep your MacBook from touching anything but soft, thick felt. The integrated storage compartments allow you to store documents, earplugs, and other essentials. As an additional feature, Mujjo designed a leather brand tag inside the sleeve to double as an integrated card pocket to store your essential cards. The sleeves are waxed to extend durability, and treated with aniline oil to enrich color tons. Prices for the Dutch sleeves are approximately US$60 for the 13-inch sleeve and $65 for the 15-inch sleeve. Disk Drill 3 brings file recovery tools to Mac hard drives — If you don’t have a good backup of your Mac, and as a result have lost something important, Disk Drill 3 aims to restore what’s gone and try to protect you against future problems. AppleInsider offers a closer look. Disk Drill 3 Pro costs US$89 from the maker’s website, but here’s a half-price special. 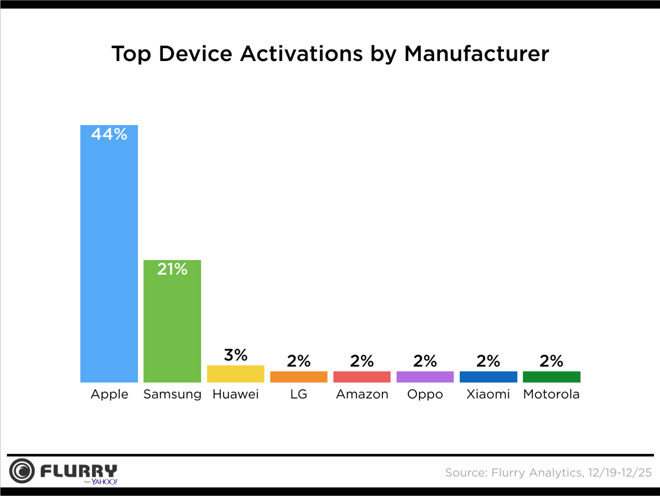 Apple saw twice as many mobile device activations this holiday as Samsung, data shows — Apple’s iPhone and iPad trounced the competition this holiday, giving the company a 44 percent share of all device activations — more than twice that of rival Samsung, new research suggests. 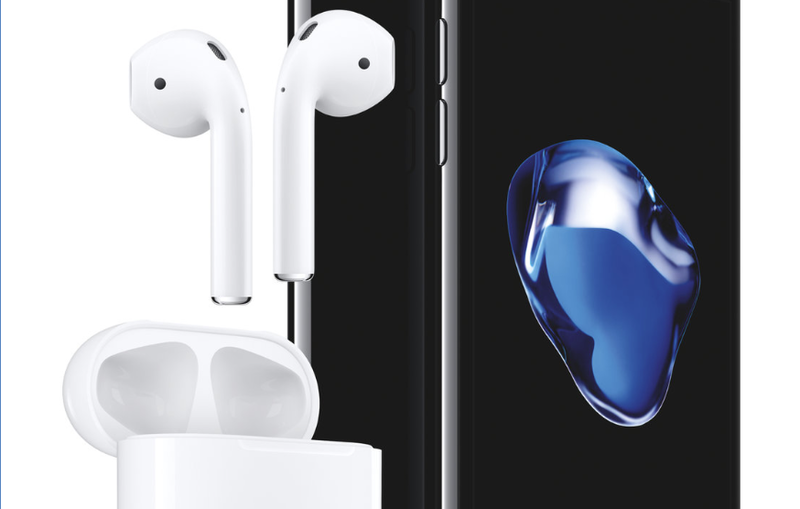 Korea hits Apple modem supplier Qualcomm with $853M fine for antitrust violations — The South Korean Fair Trade Commission has hit US chipmaker Qualcomm – a major Apple supplier – with a 1.03 trillion won ($853 million) fine, charging that the company only licenses key patents to cellphone makers, and doesn’t follow the rules when negotiating terms, among other complaints. Duet Display for iPad brings Touch Bar, Apple Pencil to your extended Mac desktop — Accelerated multiple-monitor tool Duet Display now brings the MacBook Pro’s Touch Bar to an extended screen using an iPad, and optional full Apple Pencil support in macOS. AppleInsider shows you what’s been updated in the new version. 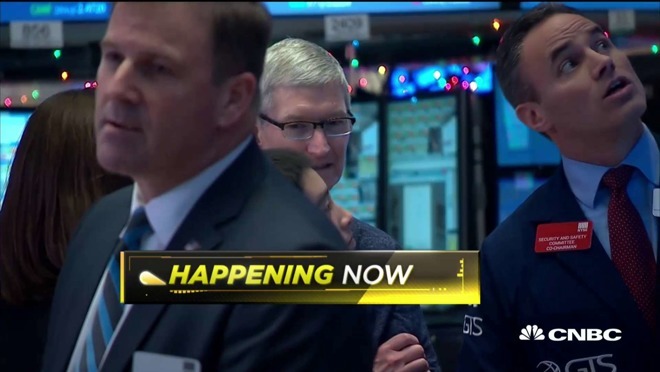 Cook on Wall Street, back up! Check out his guide to backing up. Boom for iOS — Want 3D Surround Sound, an intensity controller, auto equaliser, handcrafted presets and playlist creation all in one app? Boom, which improves Mac sound (I love it! ), is now available for iOS – and it’s free, but you can add the Magical Effects Pack for NZ$4.49 (discounted from $7.49) for the next five days. Apple engineer briefly discusses early iPhone work, hardware development security — Ex-Apple engineer Terry Lambert responsible for a large portion of the OS X kernel took to Quora to answer a question about the genesis of the iPhone, and surrounding secrecy. Apple’s first AI research paper focuses on computer vision — Apple last week published its first scholarly research paper, an article covering methods of improving recognition in computer vision systems, marking a new direction for the traditionally secretive company. The paper, titled Learning from Simulated and Unsupervised Images through Adversarial Training, was submitted for review in mid-November before seeing publication through the Cornell University Library on December 22. HandBrake Video Converter App Leaves Beta After 13 Years — It only took about 13 years, but HandBrake is finally out of beta. Version 1.0 was released on December 24th, and is the go-to tool for video transcoding. In layman’s terms, HandBrake is what you use to convert DVDs into video files you can play on your Mac. Version 1.0 improves audio and video syncing for difficult sources, adds new device presets, adds new MKV and JSON presets, improves performance Skylake-based Macs, and more. HandBrake isn’t, however, completely leaving the beta world behind thanks to its new less technical documentation that’s still tagged beta. You can download HandBrake at the HandBrake website for free. New version of Carbon Copy Cloner fully Sierra compatible, backs up your Mac like it always has — The new version of long and storied app Carbon Copy Cloner adds full macOS Sierra support, plus implements features aimed to make using it easier and faster for everybody to use – AppleInsider delves into the latest version. Movavi Multimedia Editing Bundle for Mac forUS$43.95 — We have a deal for you on a video editing suite called the Movavi Multimedia Editing Bundle for Mac. It’s comprised of three apps, Movavi Video Editor for Mac, Movavi Video Converter for Mac, and Movavi Screen Capture for Mac. 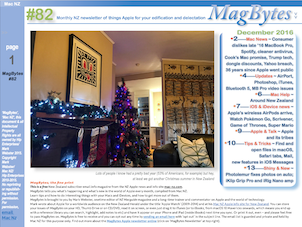 You get all three for US$43.95 through Mac Observer. 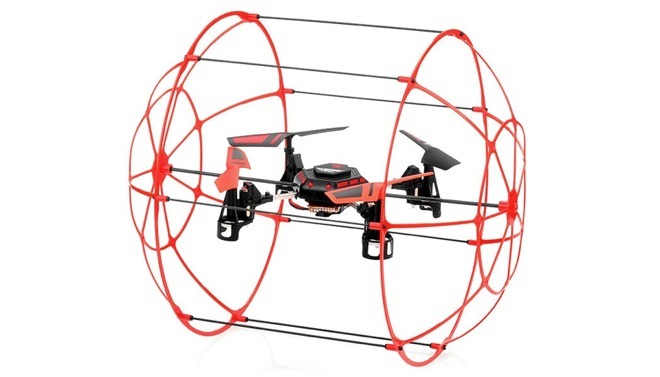 App Store trends suggest top Christmas gifts: VR, drones, cameras, Amazon Echo — Apps for iPhone-connected accessories are among the most popular downloads and search terms following Christmas, offering some insight into the types of toys that proved to be popular gifts this holiday. Apple allegedly deepening partnership with Foxconn to facilitate China, Indonesia expansion efforts — Apple is turning to manufacturing partner Foxconn to facilitate efforts to expand both research centres and business further into Southeast Asia, and open up facilities in China and Indonesia, according to recent reports. Five of the best board game conversions for your new iPad or iPhone — A niche category of the expanding game market on iOS are board game translations. AppleInsider goes beyond Monopoly and Scrabble and looks into five of the best more advanced board games that benefit from an iOS implementation. Binge on video, read until your heart’s content, and more with the best apps for your new iPad or iPhone — Not only can you work with it, but that new iPad of yours is going to be how you relax and how you stay informed – AppleInsider picks the apps that should’ve come in the box. Latest 4K drone footage of Apple’s ‘spaceship’ Campus 2 shows interior auditorium work, significant landscaping — The latest drone footage of Apple’s new headquarters under construction taken on Christmas day shows much of the heavy equipment gone, with the entire site’s landscaping being developed on a larger scale than previously seen. ChronoSync 4.7.1 adds cloud services and smart scanning to automated back up app — Unlike Apple’s own backup solution, Time Machine, ChronoSync is built to scale. Its sole purpose is to backup and save your work, but it brings a remarkable, barely conceivable number of options to the job. It’s not an app you’ll buy today and master by the morning. However, it is an app you can buy now and run for years. 2016 MacBook Pros first ones not to receive recommended ratings from Consumer Reports — For the first time ever, Consumer Reports has failed to recommend new models of Apple’s MacBook Pro line. The laptops did very well in measures of display quality and performance, but as far as battery life goes, models “varied dramatically” from one trial to the next. The 2016 Steam Winter Sale — with it come a whole bunch of holiday deals. Here and there are some good deals hidden amongst the cruft. Baldur’s Gate II is down to US$8, Project Cars is under US$10, one of the year’s best action-RPGs Grim Dawn is 45 percent off (US$13.74), Cities Skylines is US$7.50, Grim Fandango Remastered is US$3, and so on. Spotify macOS client update adds Touch Bar, AirPods auto-pause support — Music streaming service Spotify has updated its macOS app, adding both Touch Bar support, and implementation of the auto-pause feature for Apple’s wireless AirPods. Apple posts Its Public Encryption Key, encourages customers to verify emails — Apple has a new support document encouraging customers to verify encrypted emails, especially security emails from Apple. The document includes Apple’s own public PGP key for those verifications. Apple noted its current PGP key will be valid until May of 2018. PGP, or “pretty good privacy” is one of the most popular encryption schemes in general use today, through both the PGP Corporation and the open source GnuPGP. Apple posted links to both. 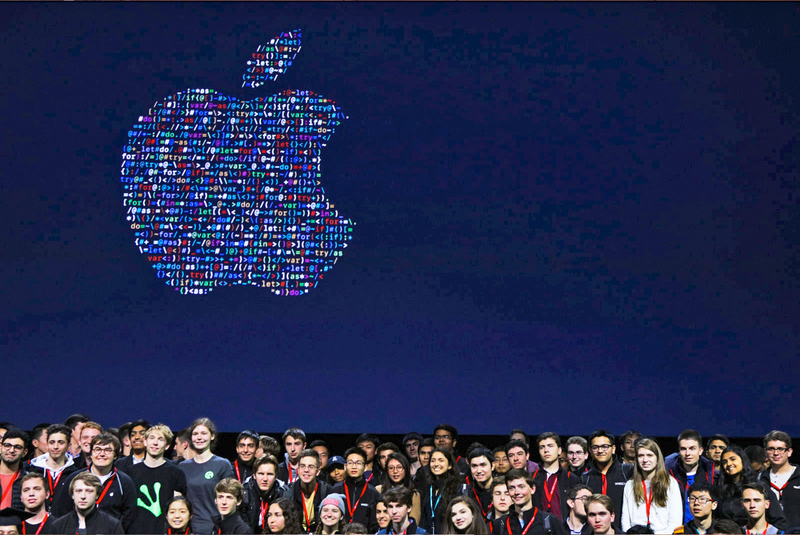 You can subscribe to Apple’s Security-announce emails at Apple’s website. Rip DVDs For Free with MacX DVD Ripper Pro and MacX MediaTrans — Right now Digiarty is offering a “Christmas Giveaway” of MacX DVD Ripper Pro, their app for easily ripping, clipping and extracting audio from DVDs. The promo starts now and runs until January 5, 2017. There are a limited number of copies available per day so go get yours now! Combo Cleaner is new antivirus/optimisation app for macOS — RCS Software has released Combo Cleaner: Antivirus and System Optimizer 1.0.6, an antivirus and system optimization application for macOS 10.10 and higher.